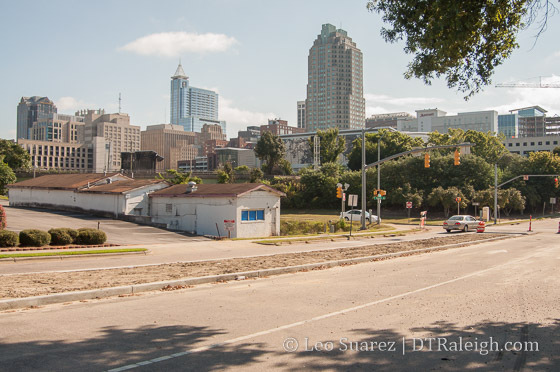 On a warm Sunday morning, I took a walk along South Street, an area of downtown Raleigh that has a lot to talk about. 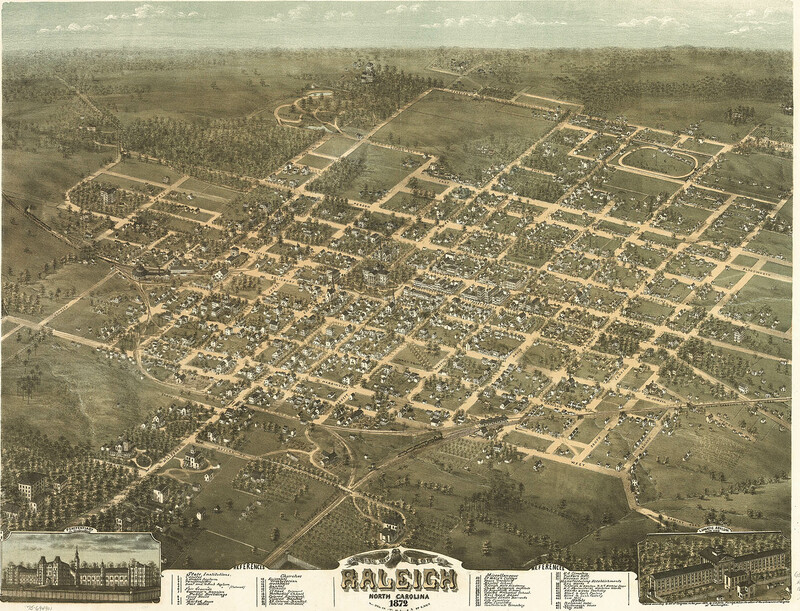 South Street used to be the original southern boundary to the entire city. Today, you could argue it’s the southern boundary of downtown but generally Western Boulevard/MLK Boulevard holds that title. 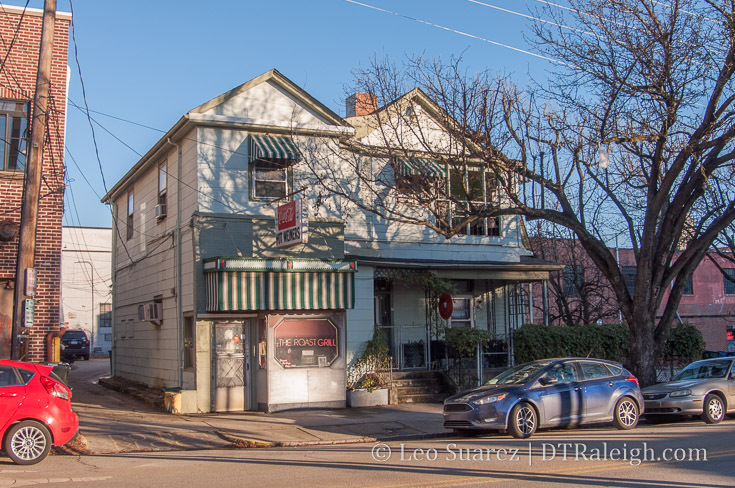 South Street could just be the boundary of the “walkable downtown” as points south of it have no real business concentration and the area transitions to neighborhoods and wider streets. 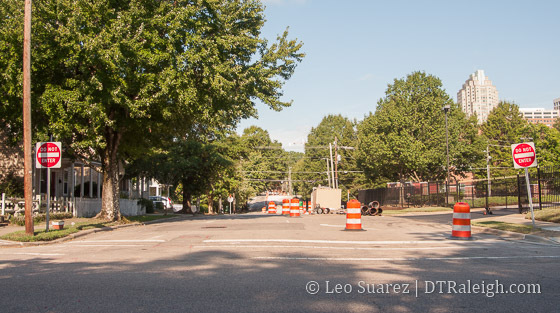 The main point of the walk was to get a sense of the two-way street conversion that is currently under construction. 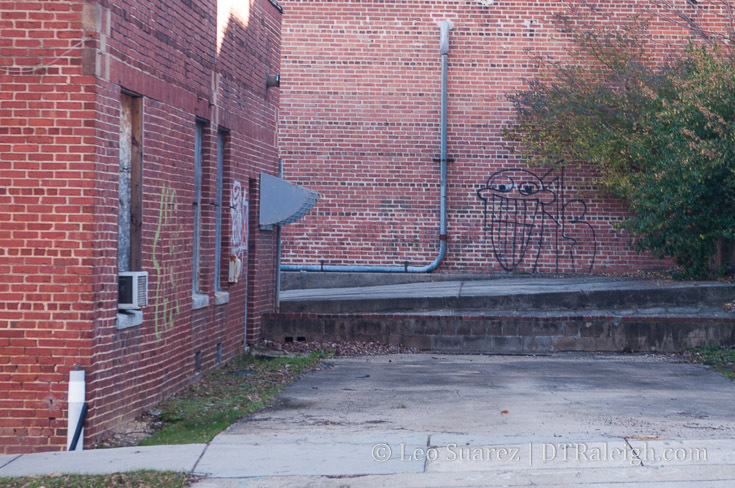 With it’s pair, Lenoir Street, the streets have been pointing people in one direction for a few decades. The change may have a significant impact on the area. Below is a map of points of interest and spots mentioned in this post. If you don’t see the embedded map, click here. Going east to west, South starts at East Street in the South Park neighborhood. 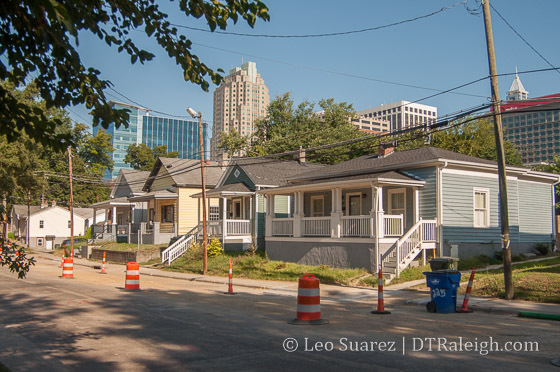 (You guessed it, the southeastern corner of the original city) There is a mix of single-family homes, some newly renovated with others in varying states of age. Nearby Lenoir Street makes for a great entrance to Chavis Park. 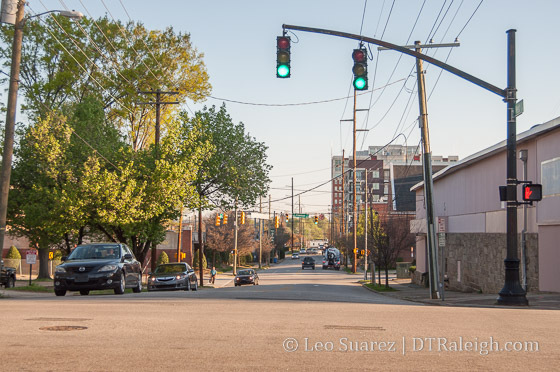 When the two-way conversion of Lenoir is finished, eastbound traffic can come from downtown and into the entrance along Lenoir. 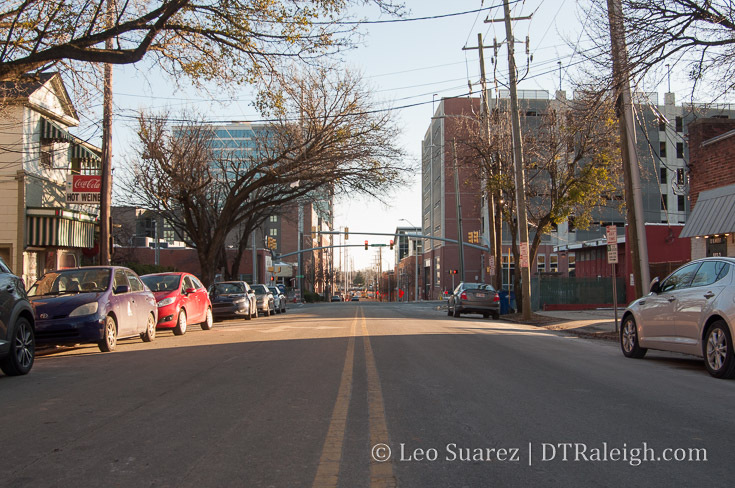 Bicyclists can also exit the Little Rock Trail on Lenoir to get into downtown, and vice versa. It’s just a more direct route. 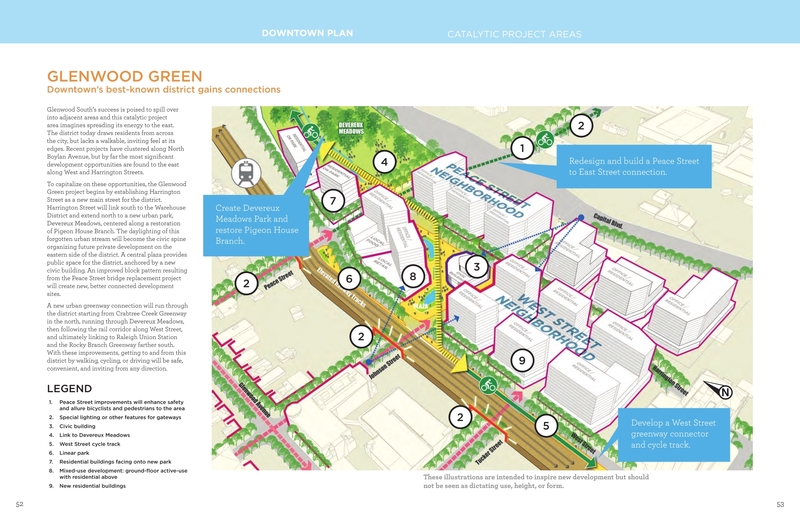 The pull of the park should increase over time as the master plan is carried out. You can read more about it on the project page on the city’s website. While Dix Park is exciting and getting all the attention, Chavis Park will be downtown Raleigh’s true park in my opinion. 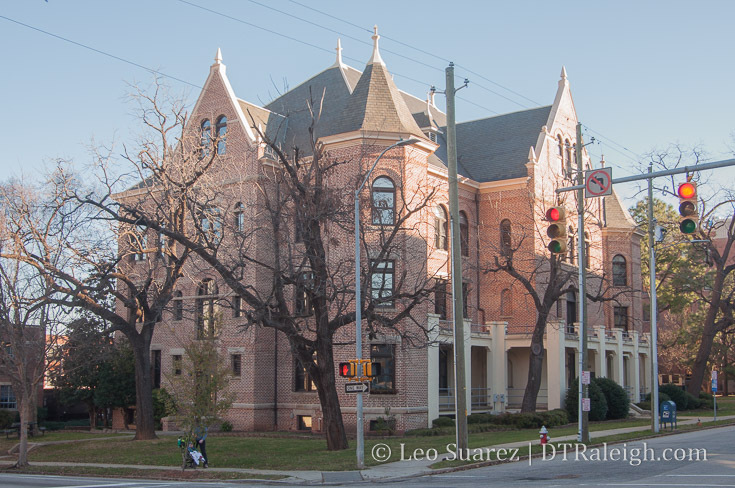 Walking along, the area transitions into Shaw University and for a few blocks, there is a mix of single-family homes and collegiate buildings. Renovations on housing continue here as well with Shaw working on internal changes at the moment. Recently, Shaw has shown positive signs of getting their books in order as this TBJ article (subscription required) states that employee pay is going up. I wrote about Shaw for Raleigh Magazine as well if you are interested in additional reading on the subject. 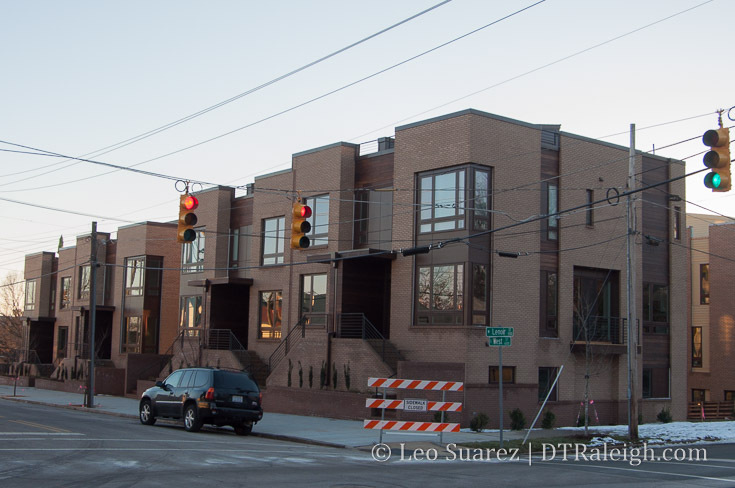 As you head past Shaw, you start to enter the Downtown Overlay District according to our development ordinance. 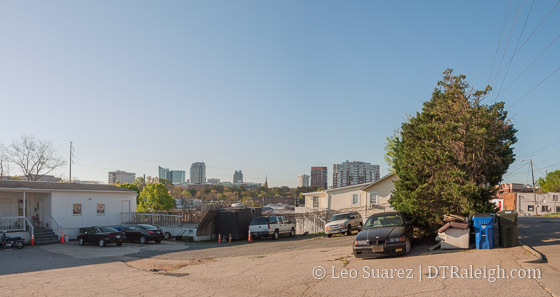 While not quite exciting at this time, the area is zoned for urban development at much higher heights. Standing on the edge of the district at Wilmington Street is a McDonald’s restaurant. 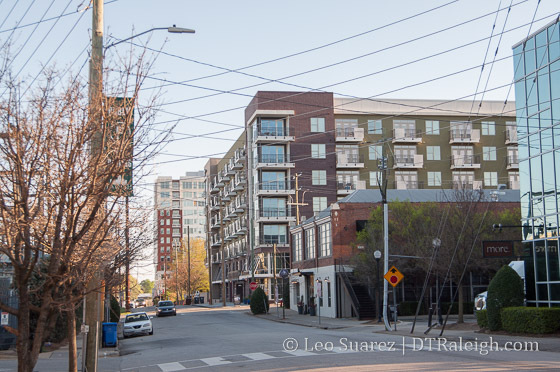 I think it’s worth mentioning here as our newest development ordinance may make a big change here. This particular McDonald’s hasn’t been updated like the ones in the rest of the city and I want to think I know why. 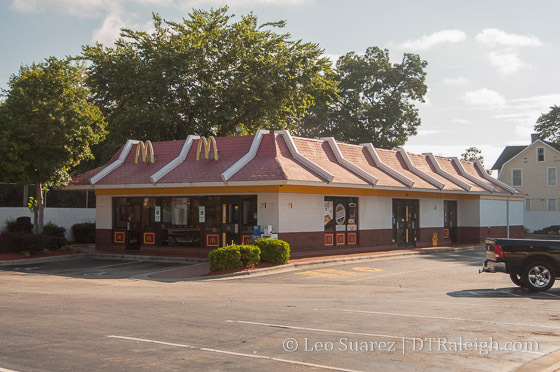 If I recall correctly, the owner of this McDonald’s was against the new development ordinance, seen during the public comment period last year, and claimed the ordinance would prohibit him from making renovations. Snapshot of the UDO and zoning of the area from iMaps, August 2016. Click for larger. 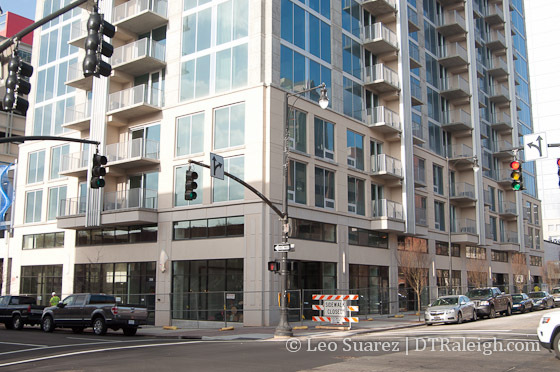 The “Urban Limited” designation of that property dictates that parking is not allowed between the building and the street. 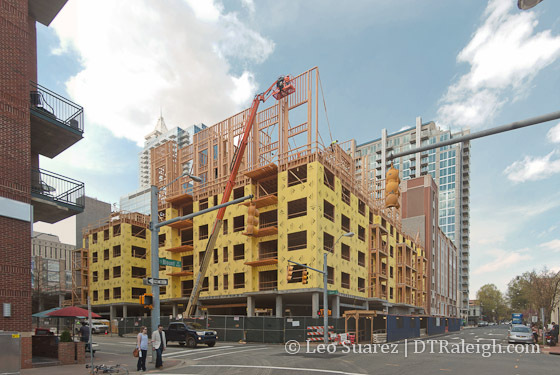 I guess you can’t level the building and bring in a “McDonald’s in a box” like others have in Raleigh. 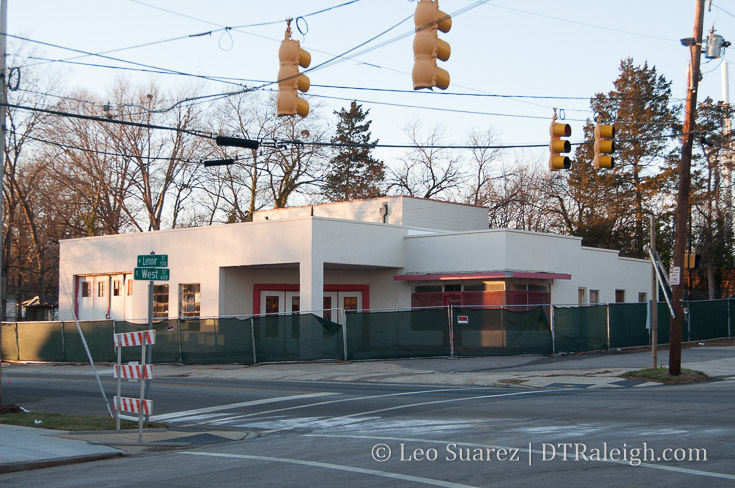 For now, we have an antique at the corner of Wilmington and South until an entirely new development comes about. 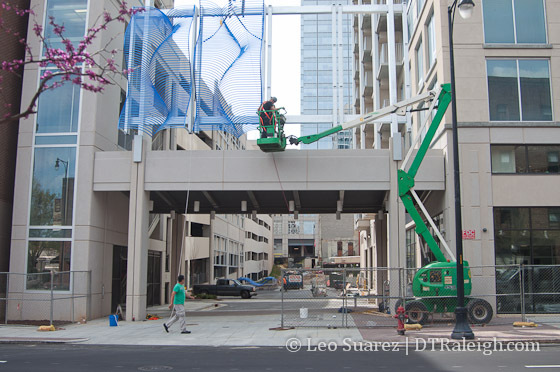 I’m sure there are other examples of this coming change on the fringes of downtown due to the new development ordinance. 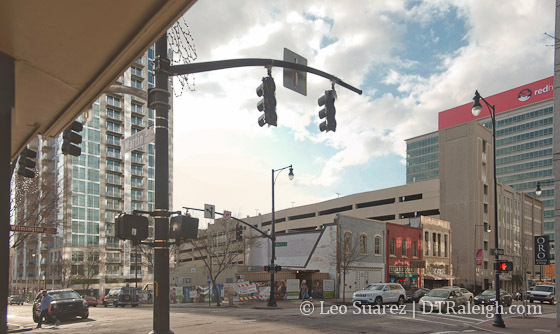 The most enviable property the city owns downtown may be the two-and-a-half acres at the south end of Fayetteville Street. 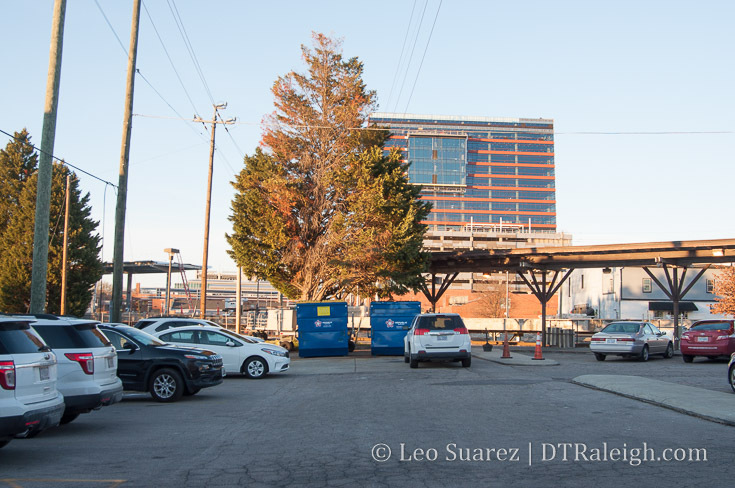 Now a parking lot, the site sits directly across the street from the Duke Energy Center for the Performing Arts. It is zoned for forty stories. The same conversation also includes some of the gravel parking lots around McDowell and Dawson Streets. All I’ve seen them used for now are parking for amphitheater events, storage for convention center events (trailers, etc. ), and fireworks viewing during July Fourth and First Night. Here are all the properties that the city owns in this area. 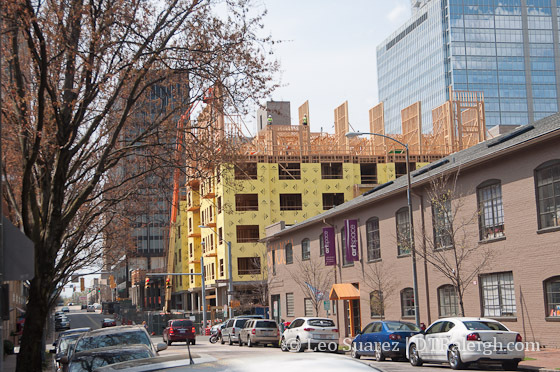 No surprise to frequent readers but the Residence Inn hotel along Salisbury Street has topped out and is moving right along. I’m sure it will support the convention center but being under the 400 room magic number, it may or may not help book very large conventions. 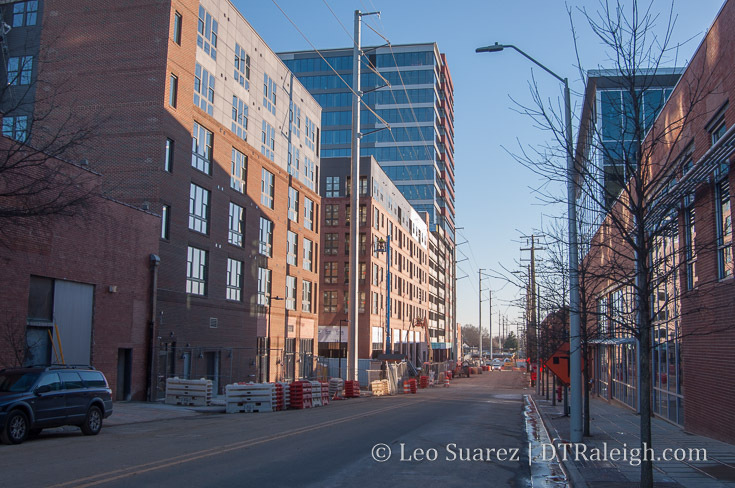 Continuing east, the view of downtown from South at Dawson Street starts to get more and more prominent. You start walking uphill and the view is really photogenic. The Heritage Park neighborhood spans from Dawson to South Saunders here along the southern end of South Street. 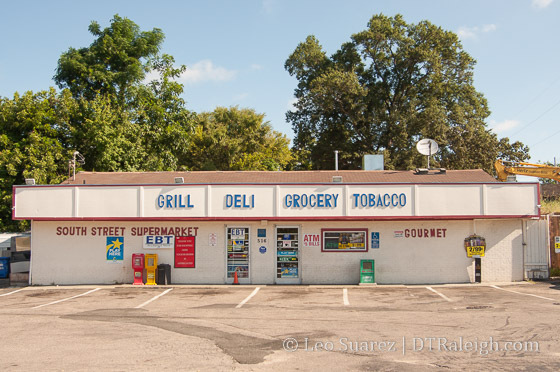 Across South, long-time businesses and buildings have been operating. The South Street two-way conversion is taking a very wide South Street and adding bike lanes and landscaped medians here. 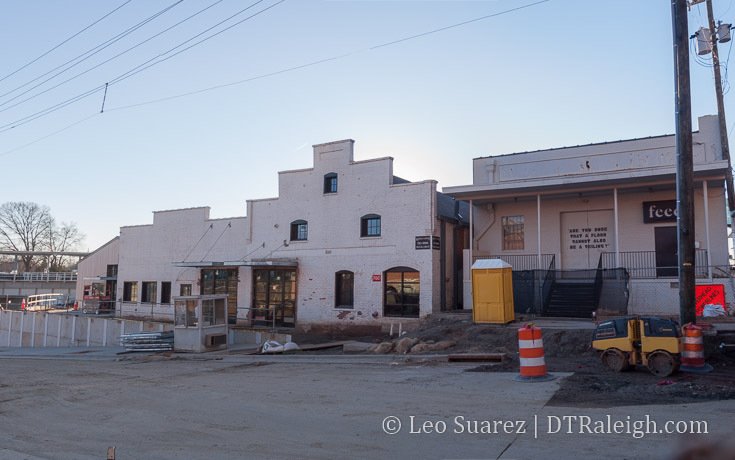 The TBJ reported earlier this month of a new development. 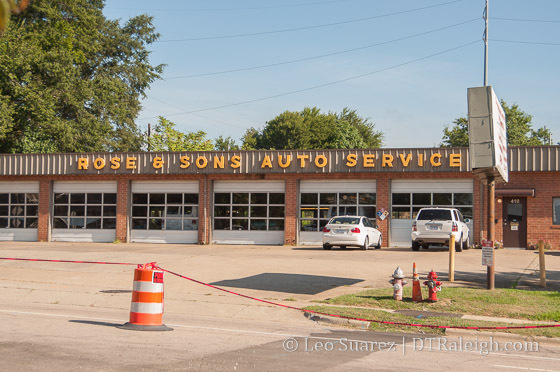 NitNeil Partners, a builder of high-end storage, plans to put a four-story building where Rose & Sons Auto Service is currently located. 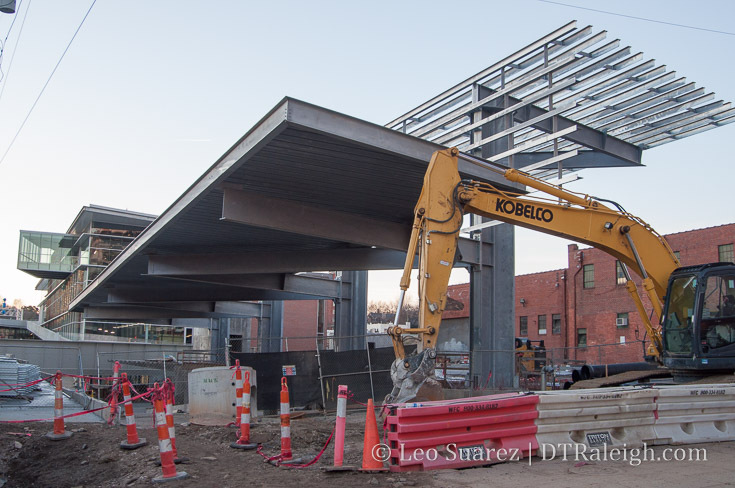 The article states that they want to break ground this Fall. 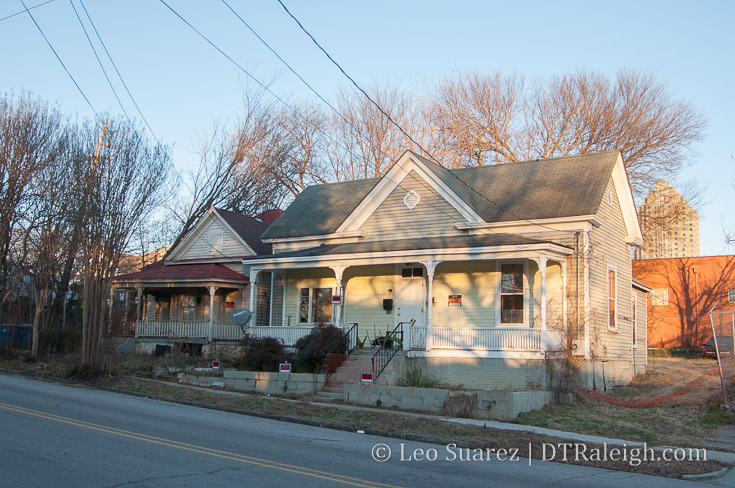 The property is actually quite large and also faces Lenoir Street. 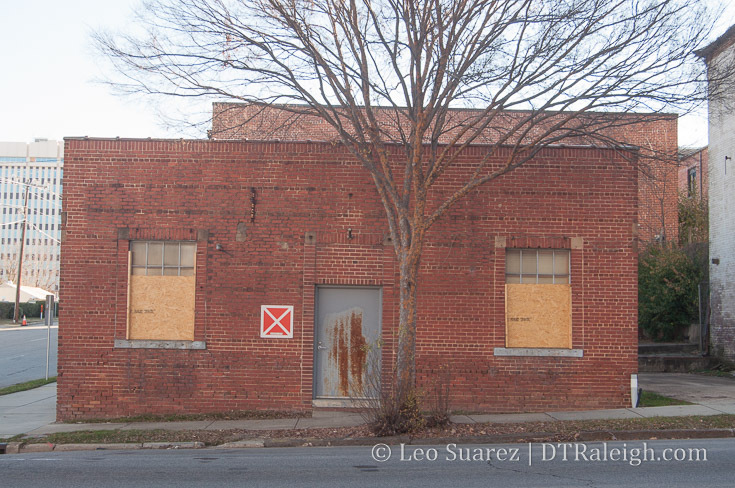 The new storage facility will certainly have a major presence on this block. 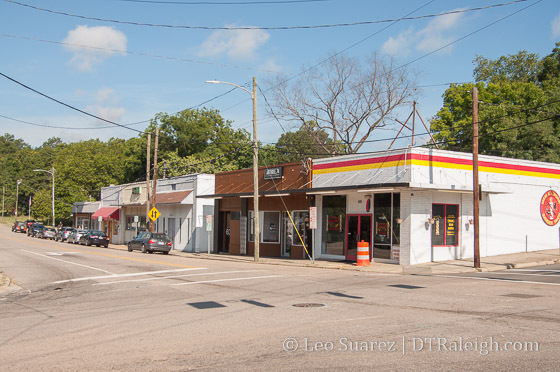 Around the intersection with West Street, older buildings contain convenience stores, a tattoo shop, and a club. 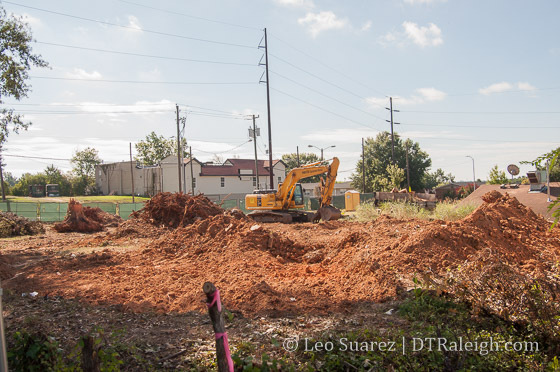 Land is being cleared for 12 new townhomes along West between South and Lenoir. 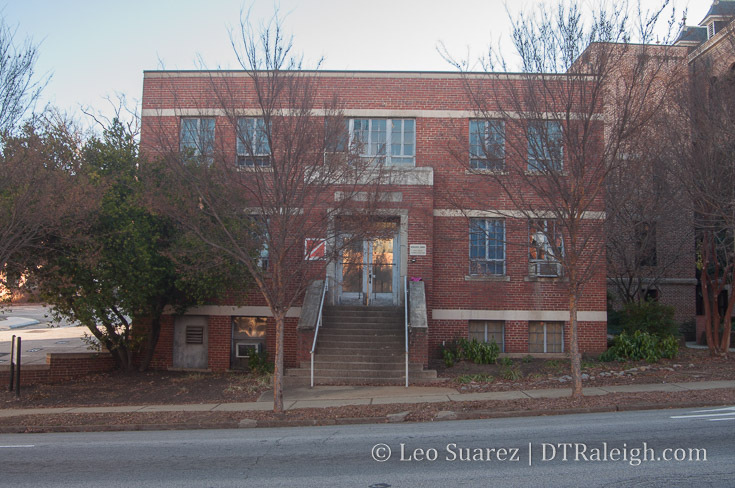 According to the site plans, there will be three four-unit buildings on the site with vehicle access to the alleys on Lenoir Street. The hub of West South Street is probably found at Saunders and South, where a line of urban-facing buildings create a cluster of retail space. 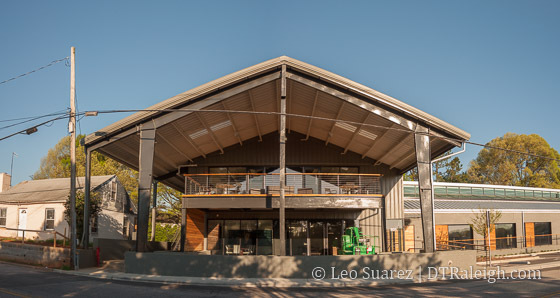 Shops such as Holder Goods, Boulted Bread, and Artikle 74 have moved in recently creating some neighborhood urban-scale activity. The walk finally ends as South Street heads into the Boylan Heights neighborhood, the western bookend to South Park’s eastern bookend. The view looking back is the header image of this post. 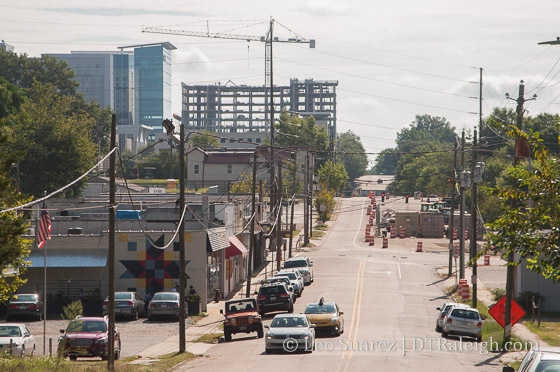 South may become a strong artery for neighborhoods to get into and out of downtown. 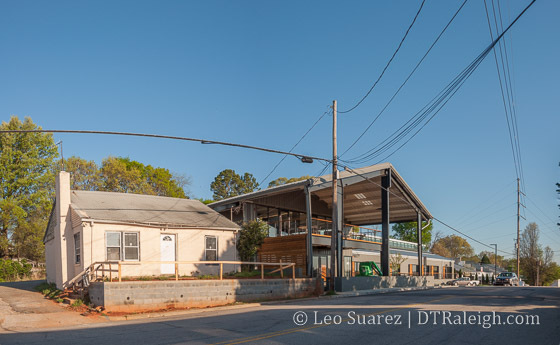 The residential elements already seem to be there with some institutional aspects, like Shaw, adding a different element that other streets may not have. There’s certainly a lot to follow on the southern edge of town. It’s great to introduce a new project to follow here on the blog. 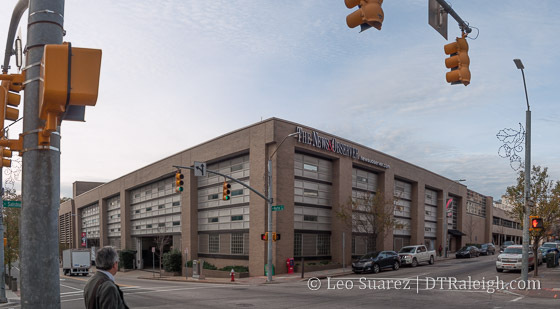 Just this week, it was announced that the News & Observer has reached a deal to sell their headquarters site in downtown Raleigh to local developers. 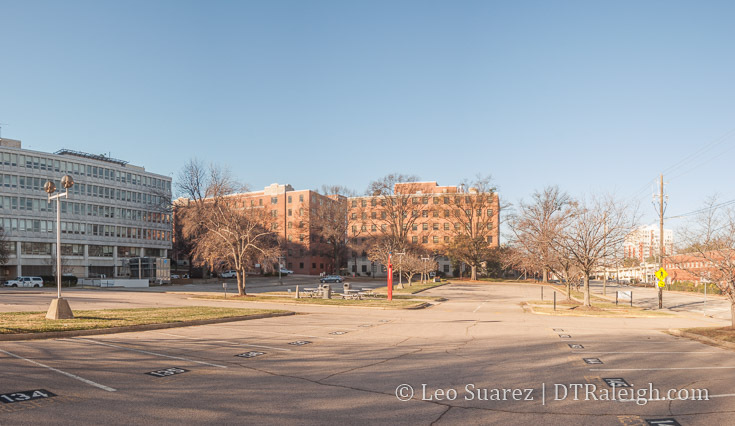 The deal is one of the biggest, coming in at $20.2 million for the 3-acre site. Having walked by there hundreds of times, I had to do it again but this time with this deal in mind. The News & Observer owns a majority of the land on their block but not all of it. Here’s a quick map of the block and the properties involved. 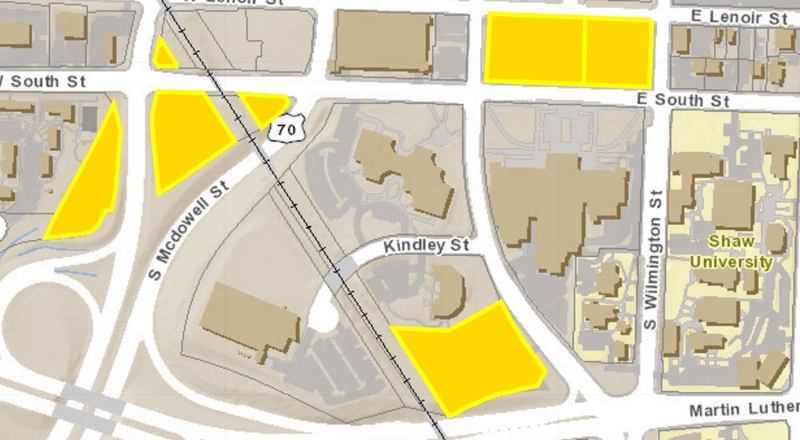 Between Martin/Hargett and McDowell/Salisbury Streets, the yellow and orange areas shown in the map are properties that were owned by the News & Observer. 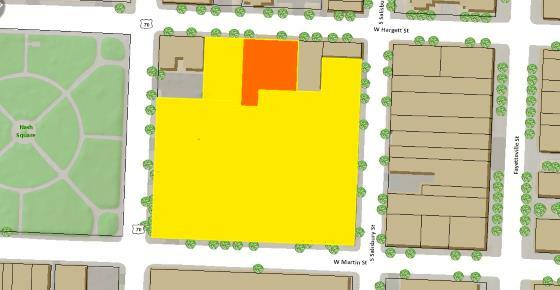 The yellow area is open for development. 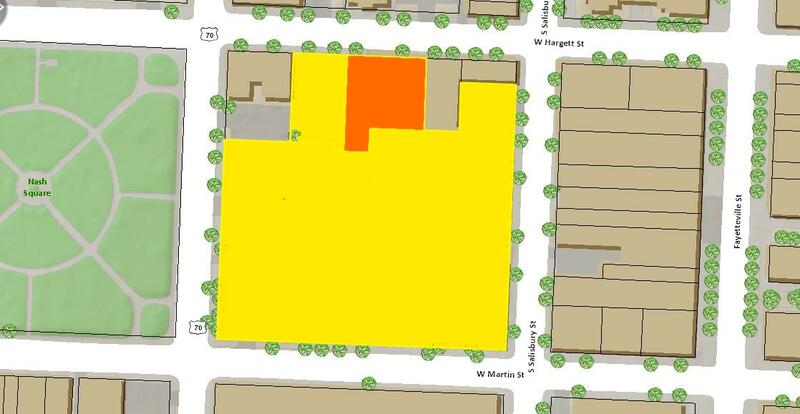 The orange indicates where McClatchy Interactive currently has a lease and this area is not part of the development deal. 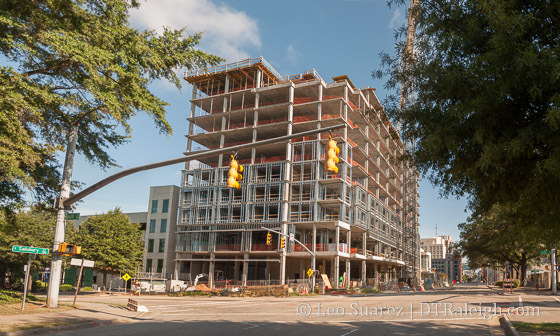 According to the N&O, things will start taking shape on the southeast corner of the block. 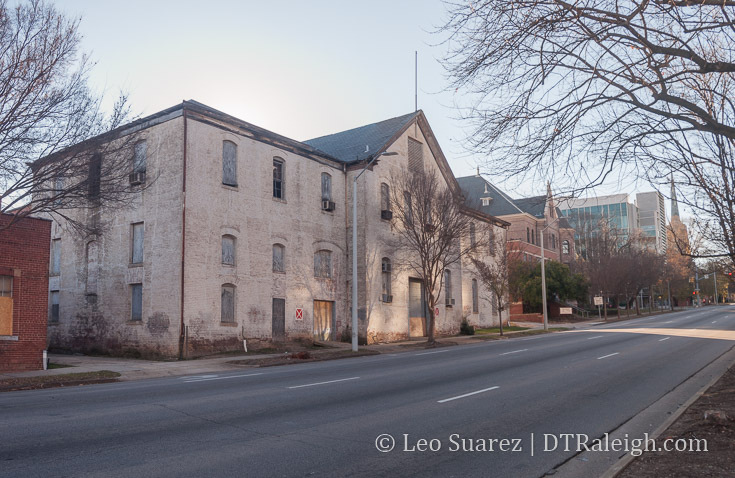 The first phase will involve renovating the building at the corner of Martin and Salisbury streets that now houses The N&O’s printing presses. 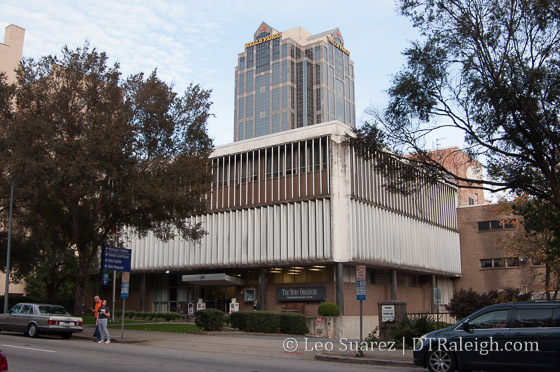 The N&O has signed a long-term lease to occupy about 50,000 square feet in the renovated building, which will also include street-level retail. That makes sense as the employees need space to work before demolishing the current site. 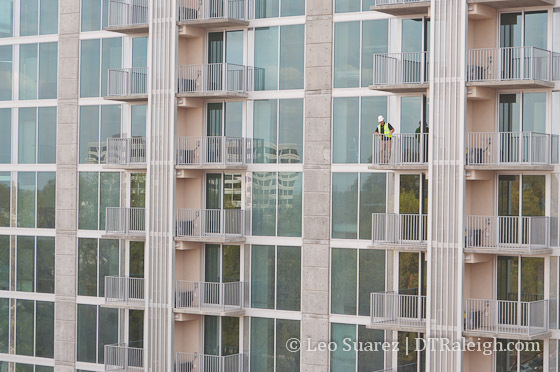 It’s great to see the N&O employees staying in downtown Raleigh. 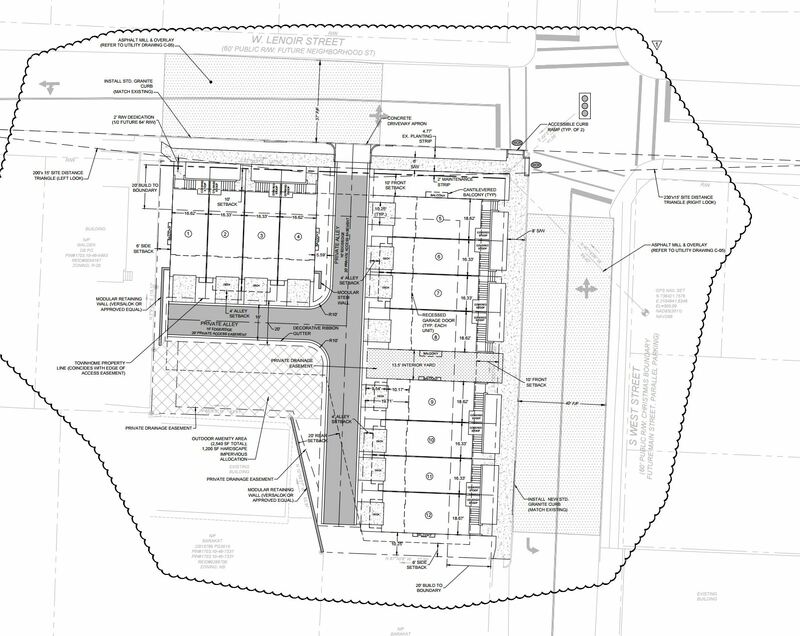 After that, there will be plenty of room for new construction and the development group will most likely work on the plans throughout next year. The article mentions a hotel and apartments. 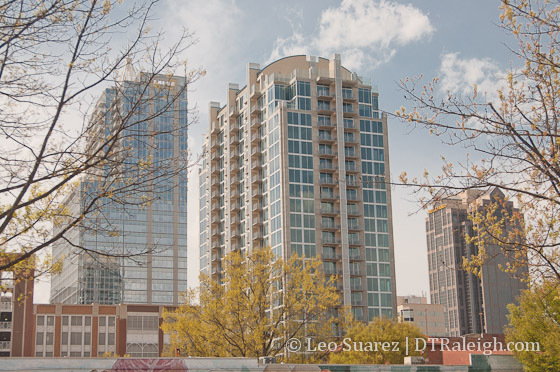 There really are a lot of positives to this downtown site from what I see. 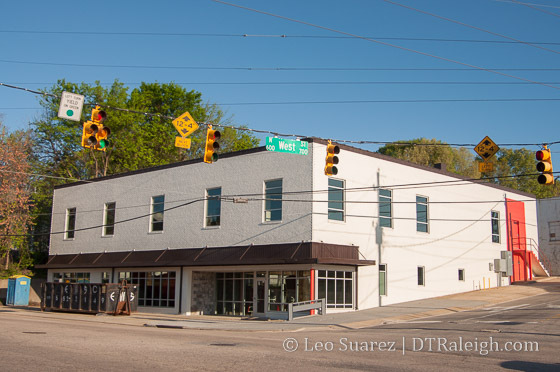 The location puts you a few blocks from Fayetteville Street and Moore Square as well as the Warehouse District. There is easy in and out access using McDowell and nearby Dawson Streets when driving. 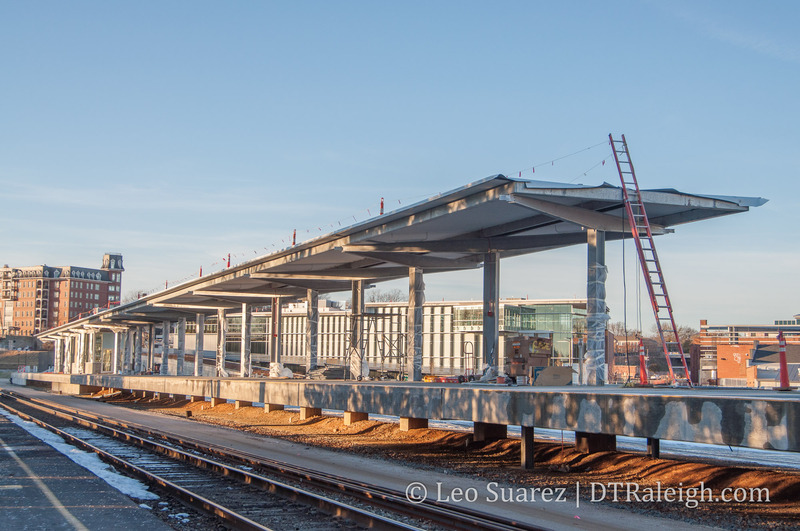 Raleigh Union Station will be three blocks away and downtown’s main bus station is two blocks away. Salisbury Street. 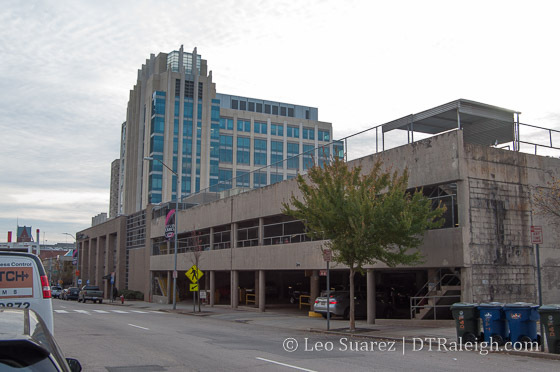 I will not miss this crumbling parking deck. 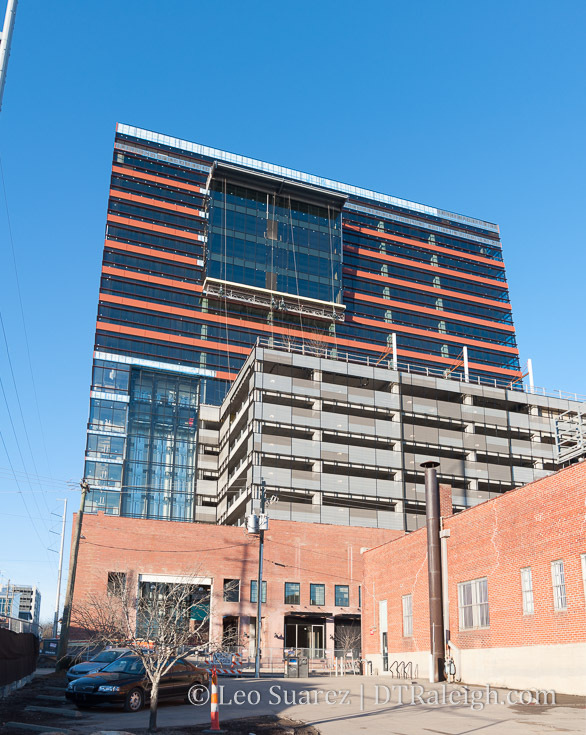 For a hotel, the convention center is within walking distance as well as all the dining and amenities on Fayetteville Street. Government and private sector workers should easily consider a hotel stay here because of its close proximity to so many companies and government buildings. 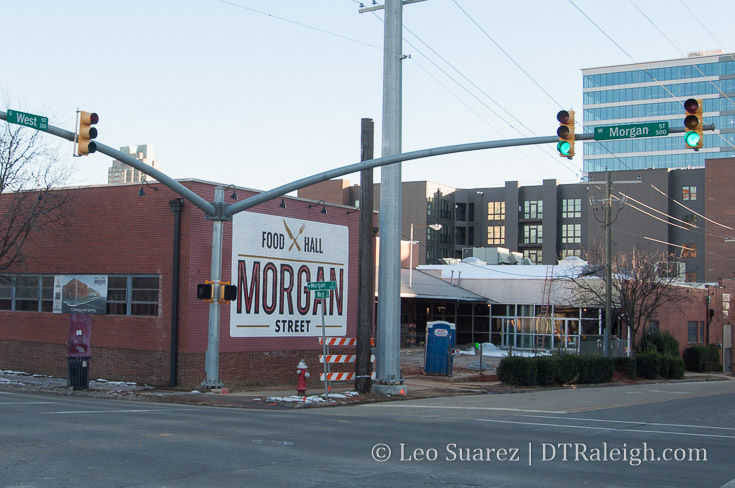 While Fayetteville Street dominates the pedestrian population counts these days, the Martin and Hargett pair are becoming key east/west walking corridors. Being right in between these two streets, the new development could really add more retail space to Martin Street, keeping that “block after block” of active space theme that’s needed to create some real shopping activity. It’s yet another fun-to-watch development in the pipeline for us.